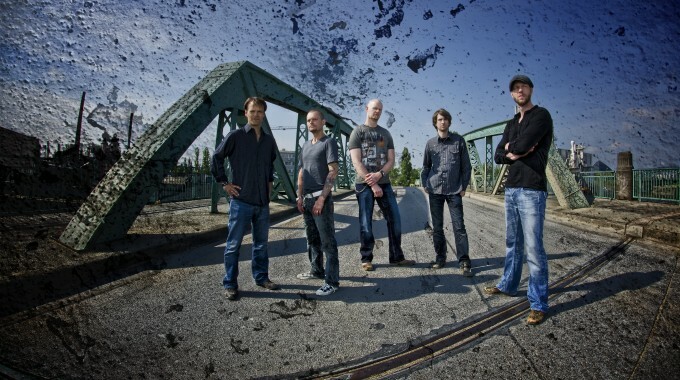 Originally intended as a side-project, Subsignal were founded back in 2007 by former Sieges Even members Arno Menses (Vocals) and Markus Steffen (Guitars). The first result of this collaboration was a song called ‘A Wallflower On The Day Of Saint Juliana’ which eventually appeared under the title ‘Eyes Wide Open’ on the 2007-Sieges Even-output ‘Paramount’. 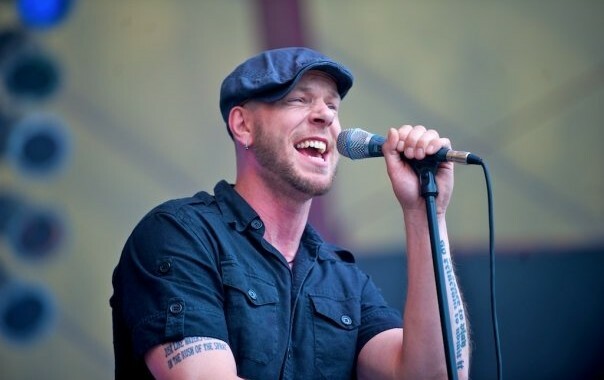 After Arno and Markus had left the band in the summer of 2008, they immediately started to look for adequate musicians to turn the project into a functional ‘real’ band. The first to join was Ralf Schwager (Bass), who was known for his work with German progmetal outfit Dreamscape. The line-up was completed by the Dutch drummer Roel van Helden (Sun Caged) and keyboarder David Bertok (also Dreamscape). Subsignal define their style as progressive, with an openness to different genres such as AOR, Metal, Pop etc. Arno and Markus describe the music with words like ’melancholic’, ‘emotional’, ‘innovative’ and ‘melodic’. They are aiming to catch up were Sieges Even stopped, but with a stronger focus on the live performances and a greater openness to other musical directions. Subsignal recorded their highly acclaimed debut album ‘Beautiful & Monstrous’ in Spring 2008. The CD was co-produced by Kristian Kohlmannslehner who was also responsible for Sieges Even’s 2007 output ‘Paramount’. The album ‘Beautiful & Monstrous’ has been released worldwide on September 25, 2009 through Golden Core/Zyx Records. (UK Release on 22 February 2010 via Cargo / US Release on 22 February 2010 via Koch Records). Subsignal played their first official show at the 2009 edition of the famous ‘Night Of The Prog Festival’ at the Loreley in Germany followed by several headliner shows and some concerts in support of the German Krautrock-Legend ‘Jane’ in Autumn 2009. 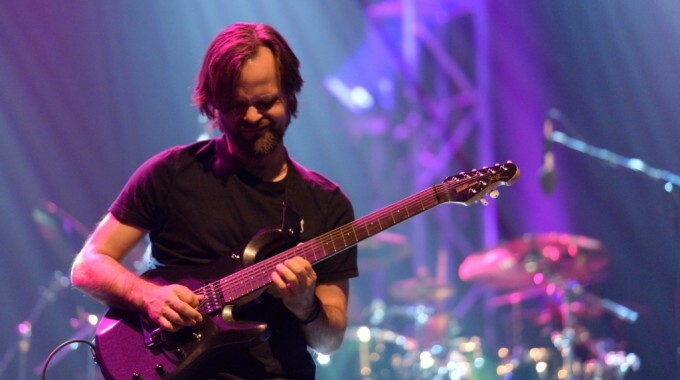 In Spring 2010 Subsignal embarked on the second leg of their ‘Beautiful & Monstrous’-tour, supporting the Canadian progrock stars ‘-SAGA’ and doing several solo concerts in Germany, Switzerland, Austria and Italy as well. The successful tour ended in Fall 2010 with a show at the German H.E.A.T.-Festival. In Spring 2011 the band started with the recordings for their second album entitled ‘Touchstones’. This time the band followed a different recording concept: Drums were done – once again – by Kristian Kohlmannslehner, while guitars and bass were recorded by Kalle Wallner (known for his work with RPWL and Blind Ego). Vocal recordings were done by Charly Czajkowski , who is the front-of-house-engineer of Subsignal. ‘Touchstones’ was mixed and mastered by Kristian Kohlmannslehner. In the week of its release ‚Touchstones‘ entered the official German Charts at position 53. After the release of ‚Touchstones‘ the band embarked on an European tour with celebrates shows such as at the 2011-edition of the Progpower Europe Festival. In May 2012 Subsignal filmed a show of the tour and released their first DVD called ‚Out There Must Be Something – Live in Mannheim 2012‘ via ZYX Records in Fall 2012. In February 2013 Subsignal entered the studio to record the third album entitled ‚Paraíso‘. This time the CD was produced by guitarist Markus Steffen, Arno Menses and Subsignal‘s FoH, Charly Czajkowski. ‚Paraíso‘ contains 10 songs with a full playing time of approx. 60 minutes. The song ‚The Blueprint of a Winter‘ features the Mexican vocal diva Marcela Bovio. She is well-known for her work with Stream of Passion and Arjen Lucassen’s Ayreon. Three tracks of the album featured string quartets which were recorded in Los Angeles, USA. The special edition of ‘Paraíso’ will contained a live recording of the band’s 2012 performance in Mannheim, Germany. `Paraíso`entered the German charts just like its predecessor ‘Touchstones’. After the release of ‘Paraíso` Subsignal played yet another successful European tour (with an appearance at the famous Rock of Ages-Festival in Germany). And in May 2014 the band played their first USA-show at the Rites-of-Spring-Festival in Gettysburg (PA). After returning from the ‚Paraíso‘-tour, Subsignal parted company with drummer Danilo Batdorf and keyboard player David Bertok. 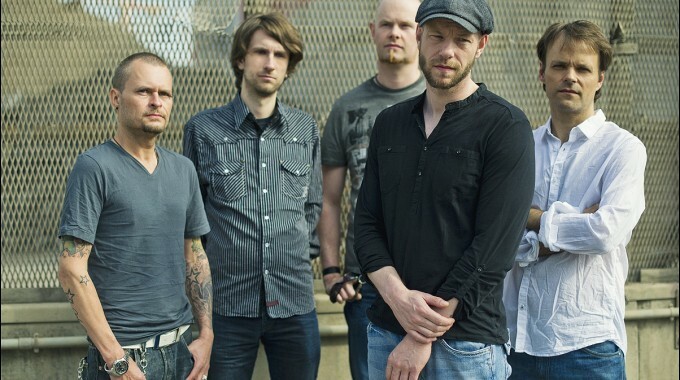 Arno Menses and Markus Steffen immediately began writing new material for the fourth album ‚The Beacons of Somewhere Sometime‘. ‚The Beacons of Somewhere Sometime‘has hit the stores October 30th, 2015 via Golden Core/Zyx Records in different formats. The album reached position 64 in the week of its release in the offical German charts. Subsignal played a tour in Germany in support of the new album. They also appeard at the ‚Generation Prog Festival‘ in Nuremberg and the ‚1st Space Prog Rock Night‘-Festival in Essen. Subsignal also played the famous ‚Night of The Prog‘-Festival in July 2016. In January 2017 Subsignal team up with German band Blind Ego to embark on a tour through Germany and Belgium. After the tour in Winter 2017, Subsignal began recording their 5th album entitled ‘La Muerta’. The new album will be released through Subsignal’s new record company Gentle Art of Music (RPWL, Panzerballett etc.). ‘La Muerta’ was produced by Yogi Lang and Kalle Wallner, both known for their band RPWL. The album contains 11 songs and a total playing time of about 55 minutes. In contrary to ‘The Beacons of Somewhere Sometime’, there are no conceptual connections or themes on ‘La Muerta’. ‘La Muerta’ is a clear counterpoint to the 2015 album. “We never try to write an album twice – that’s not possible anyway, and certainly not wanted – rather, we’ve tried to reduce ourselves a bit, according to the motto: less is often more. I think that ‘La Muerta’ has become more transparent, more rock, maybe even more pop in every sense of the word, and that is audible on the production level as well. 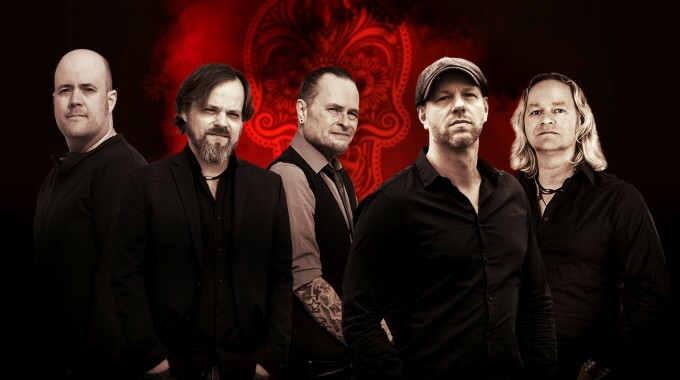 Kalle and Yogi have given us their experience and input a big step forward,”says guitarist Markus Steffen. In addition to two shorter instrumental tracks, ‘La Muerta’also contains a very calm and emotinal piece entitled ‘Some Kind of Drowning’, which is mainly carried by a piano. In addition, this song features Russian singer Marjana Semkina as duo partner of Arno Menses. Semkina is well known for her band Iamthemorning who won the 2016 Progressive Music Award for Best Album. ‘La Muerta’will be released on May 25th, 2018 via Gentle Art of Music / Soulfood worldwide as CD, vinyl, download and stream. 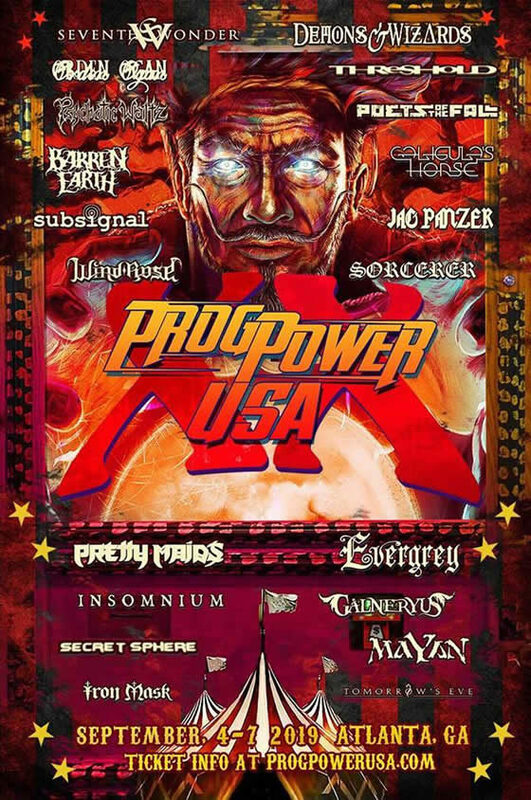 A tour in support of ‘La Muerta’ started in October 2018 when Subsignal played a co-headliner show at ProgPower Europe 2018, followed by dates in Germany and Austria.